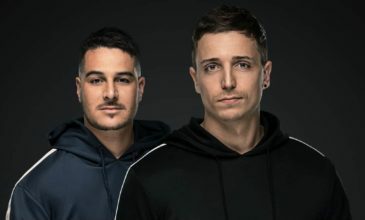 No strangers to winning over new audiences and pushing fresh sounds, Merk & Kremont are at it yet again with Fire – their latest devastatingly hot release, out now on Tiësto’s label, Musical Freedom. Last night, the Tomorrowland Unite stage in Barcelona caught fire as fans were watching the stream live from the main event in Belgium. FREAKS’N’BEATZ recently presented his second single – “Fire”. Hard and melodic plus a great blend of melodic and tuff beats, “Fire” brings pure Dubstep sounds on a powerful drop. A young American is taking the world of electronic music by storm, and he goes by the name of Notaker. Based in Staffordshire, up-and-coming DJ and producer Bradley James is rapidly displaying his talents to the worldwide electronic music scene. Inspired by A-list artists such as Michael Woods, Nicky Romero, Afrojack and deadmau5 he’s managed to create his unique twist on House music, to which he adds dashes of Electro and Deeper elements, together with old-school atmospherics.